Our society creates a lot of trash, and an unfortunate amount of that trash is thrown carelessly to the ground as litter. Picking up this litter is necessary if we want our communities to be clean and inviting. Thankfully, many people are willing to do the hard work of picking up all of this trash in order to make their communities better. There are many different kinds of people who are willing to help clean up litter in their communities, and each of them has their own reason for doing so. Their reasons range from helping clean up the environment to discouraging future littering. However, most people choose to participate in this type of clean up either as a way to make their community look better or to serve the people around them. Whatever their reason is, they all have one thing in common. They know that Outdoor Litter Pick Up is a dirty job that somebody needs to do. If you are one of these people, ArcMate wants to make sure you have the right tools to make this dirty job easier and safer. From Litter Grabbers to safety gear, we’ve got it all. ArcMate offers you a wide variety of litter pickup safety supplies so that you can feel safe while cleaning up your community. Any time you are picking up litter, you need to make sure that you are wearing high-visibility safety clothing like safety vests or safety t-shirts. 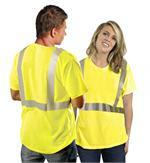 All of our safety clothing features bright colors and many of them have reflective elements for added safety during roadside litter pickup. 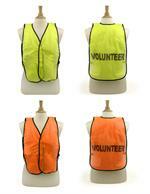 To be safe, however, you need more than high-visibility clothing. 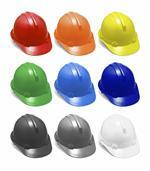 That’s why we also offer hard hats, gloves and traffic cones. If you’re looking to buy high quality litter pickup safety gear, you’ve come to the right place. Here at ArcMate, we understand that feeling safe is important when you are performing the invaluable service of cleaning up your community. When you shop with us, we’re confident that you’ll find exactly what you’re looking for. Contact Us Today if you need help finding the safety gear that are right for you.